Crocodiles come from far and wide to seek Little Doctor's care. She treats each one with skill and kindness--even the toughest crocs with thick skins and large, powerful jaws. 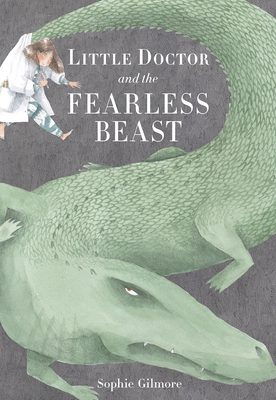 Little Doctor marvels at these fearless beasts, listening to their stories, while she diagnoses and cures what ails them. But when she meets Big Mean, the largest crocodile in the land with jaws clamped tightly shut, Little Doctor can't figure out what's wrong. And she might be just a little bit afraid. When one creative idea lands Little Doctor right inside Big Mean's tremendous jaws, she is sure she'll be munched or crunched--until she sees that Big Mean isn't so horrible, after all. As it turns out, the crocodile is only protecting her hatchlings, all tangled in plastic, inside her mouth.